Springtime is an active time for our graduating seniors. HERE's an activity calendar that should help you stay organized. Note that we update it regularly, so dates are all subject to change. 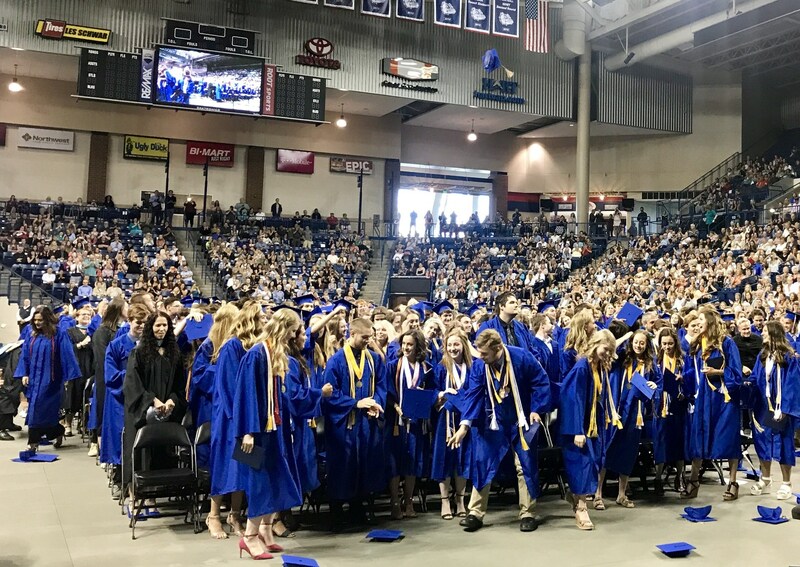 Graduation takes place @ 5:00 pm on June 7th at the McCarthey Athletic Center at Gonzaga University. There is plenty of seating in the venue so seating is general, with wheel chair access. Also attached below is a map of the Gonzaga campus with the MAC identified. We will send a letter to parents in May, 2019 providing details on graduation, and a letter to students with further detail including participant expectations. Please feel free to give us a call if questions arise. We are excited for the Class of 2019 and the future that awaits them. Senior All-Nighter Information: We are excited to announce that The Senior All-Nighter will be held at the Kroc Center in Coeur d'Alene. The Senior All-Nighter is a fun and safe way for our kids to celebrate their graduation night. As the Senior All-Nighter is not a school sponsored event, we ask that you contact the committee who organizes that event with all questions pertaining to that evening. SAN forms can be picked up in the Mead office and there is a bin for your completed forms, as well. SAN parents regularly check the bin for your envelopes. Thank you very much!